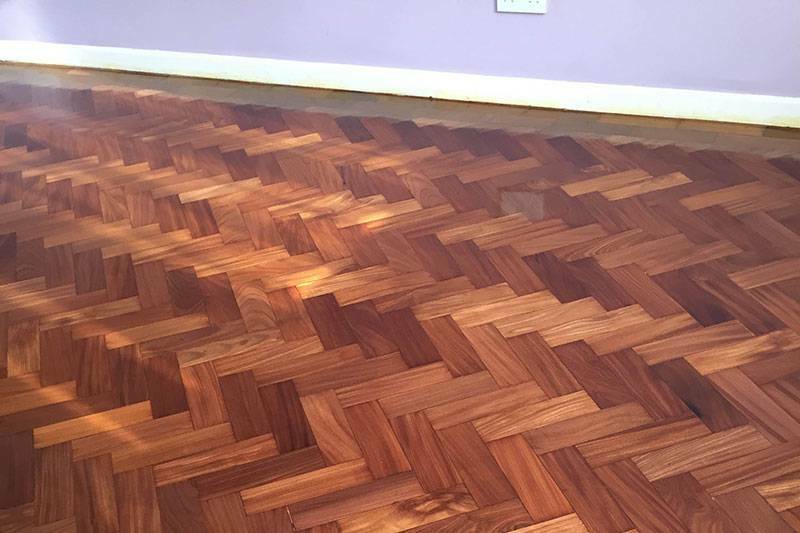 This solid parquet block mahogany floor (a wood that is now hard to source) had last been finished some twenty to twenty-five years ago with a very thick and dark lacquer. 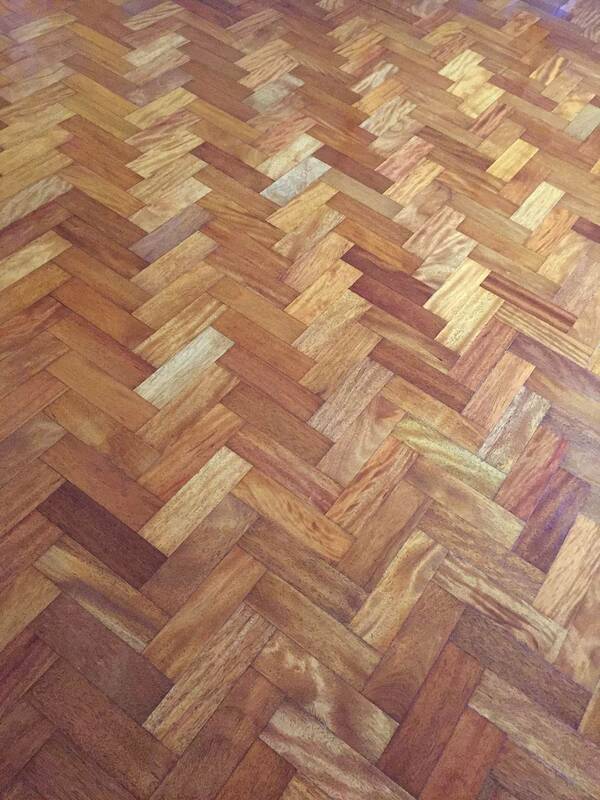 There were some dents in blocks, but this is not unusual for a parquet floor of this age. 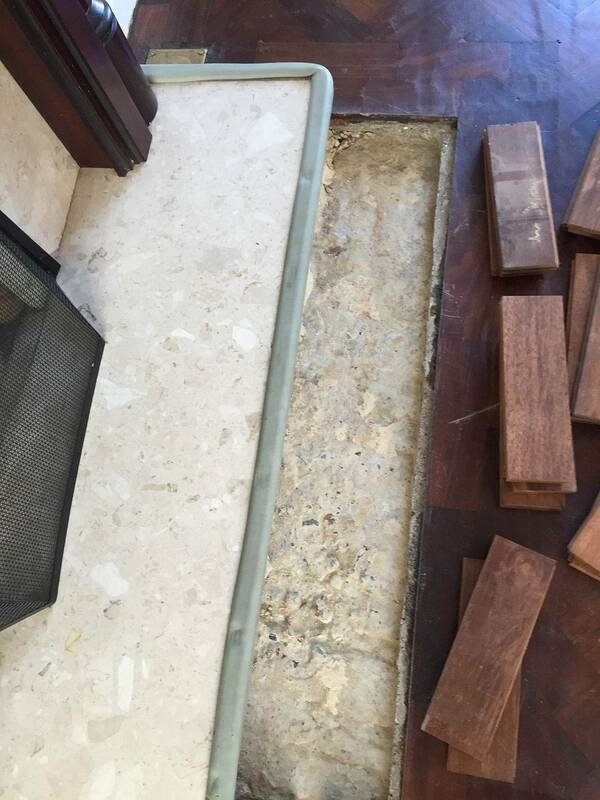 The project involved restoring the floors of both the living and dining room. 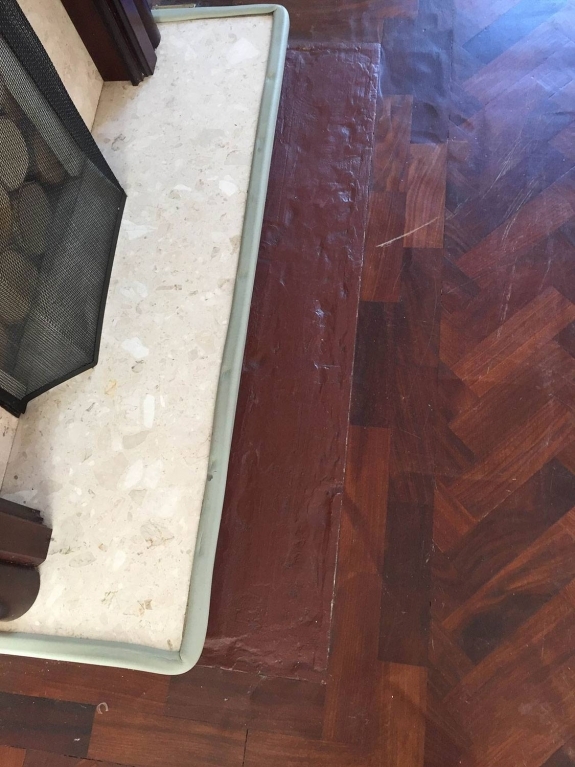 There were no problems with the original installation; however we did remove some cement around the fireplace and replaced with parquet blocks which were finished to match the existing ones. 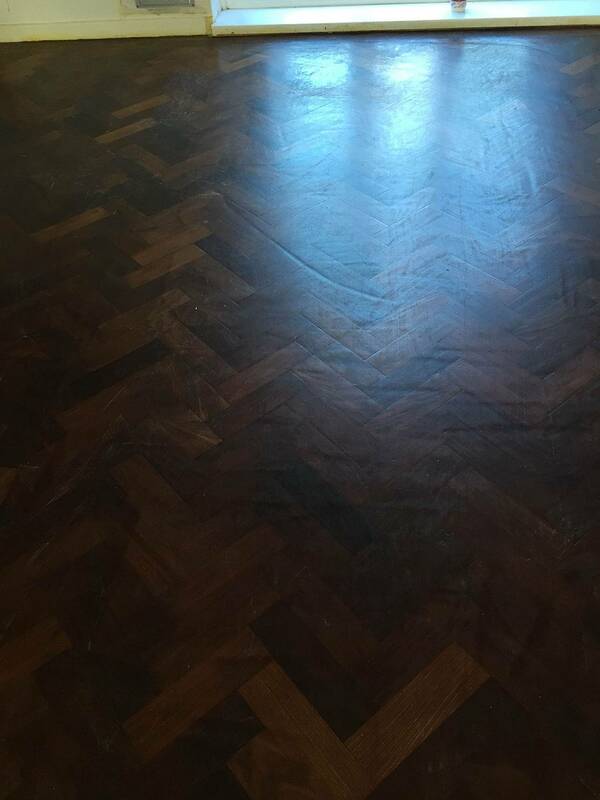 We then sanded away the lacquer, sealed the floor and then and applied two coats of clear hard wax oil. 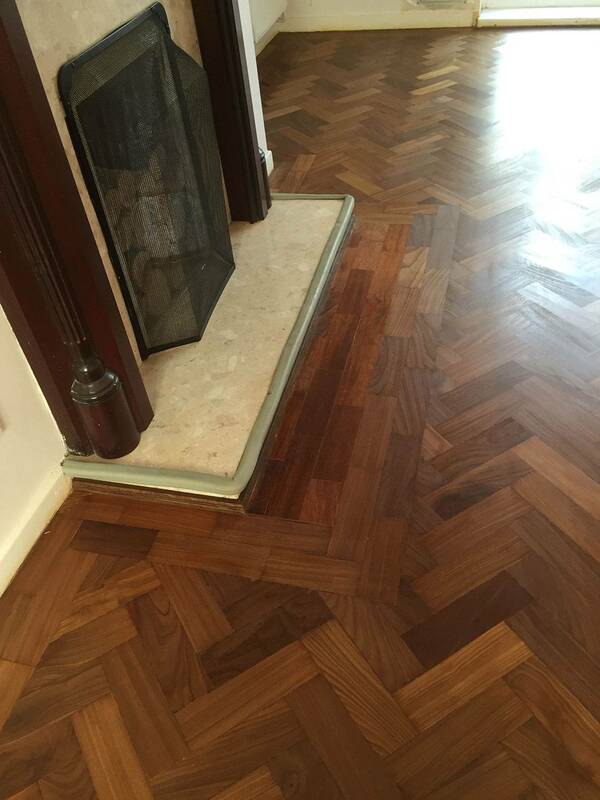 Our founder Mursel completed this job on his own; the total time was three days for sanding and oiling.